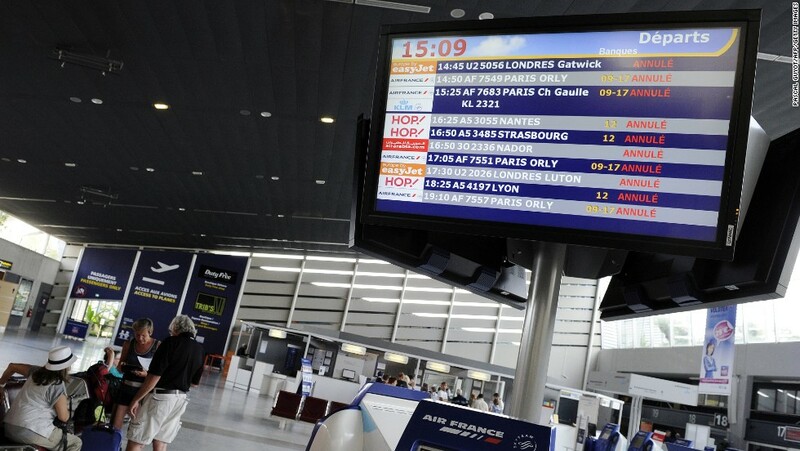 Hindered by strikes and outdated equipment, French air traffic control is responsible for a third of aviation delays in Europe, Le Parisien said on Monday (Jun 18), citing a senate finance committee report. Between 2004 and 2016, French air traffic controllers were on strike 254 days, while second-placed Greece only had 46 days of stoppages, Italy 37 and Germany four, according to the report seen by the daily. “Every day of a strike in France has a much bigger impact on European traffic than (strikes) in other European countries”, the report’s author, senator Vincent Capo-Canellas, noted after six months of work including numerous field visits. In addition to frequent industrial action France is also the champion for delays, linked to obsolescent equipment, the report said. “Our country is responsible for 33 per cent of delays due to air traffic control in Europe,” Capo-Canellas said, representing 300 million euros in annual losses for airlines. “In France, the control equipment is outdated,” and maintenance costs are high at 136 million euros a year, added Capo-Canellas. French air traffic controllers have to cope with more than 3.1 million flights in 2017, up four per cent from 2016 and 8.6 per cent from 2015.